Remember that watermelon from last week?? 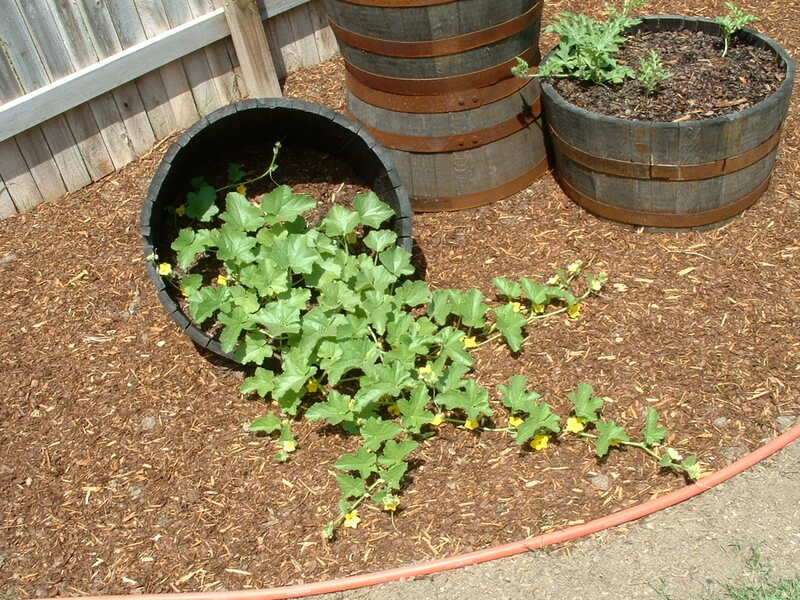 This is what it looks like today….I’m hoping with all those blossoms I’ll get a melon or two :). You might want to pull some blossoms off, I don’t know. We tried melons last year and there were quite a few, but they never got very big. I think because the vine was trying to produce too many. Just a thought…you probably know more than I do. Looks great though. I love the barrel; it’s a nice touch.